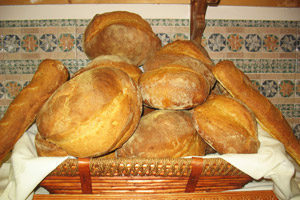 Come enjoy our home-made “Pane di Altamura” or Matarese bread. This crunchy, rustic artisan bread is based on a traditional family recipe and is baked fresh each morning from Thursday to Sunday. Call ahead we will be happy to set some aside for you.